Hi, I recently purchased a Honda NSC50R for my work commute, fantastic bike with excellent Fuel economy. John Banks Honda are currently doing £300 off RRP which is the cheapest in the UK. My local Honda dealer matched the deal when I mentioned it to them. 2 Years warranty and 2 Years AA roadside included. Very good value, I'd say. Good value, but I seriously think anyone that is under 17 would be better waiting until they are and getting a 125CC. With top speeds of just over 30mph you are really at mercy on the roads and would not be able to keep up with the flow of traffic in all but village tootling. malossi variator will have this doing 45MPH if you need it. I'd actually say restricted 50cc bikes are dangerous, 30mph is too slow. 40/45mph is perfect imo. I see rip off Britain is alive and well. The excellent 110cc Honda Dio scooter retails in India at Rs 44700 - that's just £493.46 at current rates. I see rip off Britain is alive and well.The excellent 110cc Honda Dio … I see rip off Britain is alive and well.The excellent 110cc Honda Dio scooter retails in India at Rs 44700 - that's just £493.46 at current rates. You are so right Baldieman. I suppose it would be a nightmare to import one - cost wise and red tape etc. Doesn't the Repsol branding make it look a bit rubbish? Riding a scooter that is desperately trying to look like a Moto GP bike is a bit sad IMO. And why you'd want to pay for the pleasure of promoting Samsung I do not know. Doesn't the Repsol branding make it look a bit rubbish? Riding a scooter … Doesn't the Repsol branding make it look a bit rubbish? Riding a scooter that is desperately trying to look like a Moto GP bike is a bit sad IMO.And why you'd want to pay for the pleasure of promoting Samsung I do not know. how much would insurance cost for this if I'm 21 ? Haven't insured another vehicle in uk yet. Ah, didn't see there was a plain one for £1,500. Haha, who in their right mind would pay an additional £100 for the branding?! Hilarious. Doesn't the Repsol branding make it look a bit rubbish? Riding a scooter … Doesn't the Repsol branding make it look a bit rubbish? Riding a scooter that is desperately trying to look like a Moto GP bike is a bit sad IMO. Some people can pull it off. Bit different when you're getting paid hundreds of thousands to promote the brand. But they would still look like tools riding a bike like that on the roads. Lol, but that's India. If it isn't stolen, you'll probably be dead in a year riding bikes around on those roads! And the standard of life in 'rip off Britain' is far higher than India, hence our higher costs. The average yearly wage is around £2,500 over there, and around 40% of deaths are caused from communicable diseases or nutritional deficiency. So it's not as if it's a case of your average Indian person waking up and going "You know what, I'm going to go out and buy an Allegro RS... Ha ha, those poor Brits!!". Lmao this has got to be the worst comparison in HUKD's history. You are comparing a Honda to a Chinese piece of crap that won't last 5 minutes. Have you not seen Watchdog about those bikes? Spend the extra and get Honda/Piaggio/Gilera, stay well clear of any Chinese bikes. 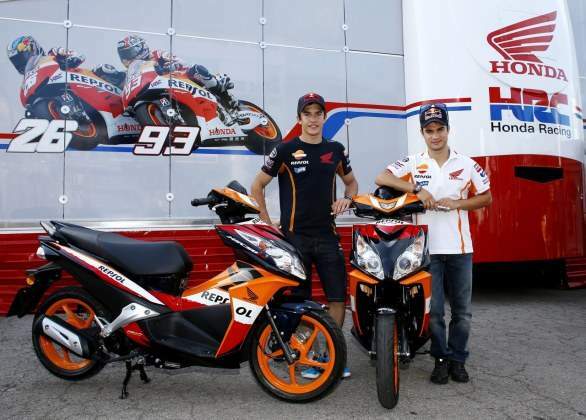 Even if that was your thing...the repsol design is wrong and the 2013 design is quite different. But even if I could afford a fireblade...getting the whole repsol thing attracts the wrong kind of attention I think...or laughter when they see the amateur skills of the rider ! Bit different when you're getting paid hundreds of thousands to promote … Bit different when you're getting paid hundreds of thousands to promote the brand. But they would still look like tools riding a bike like that on the roads. I disagree, but then some people are more confident and less self-conscious about their appearance than others. As a tool for commuting these can be ideal (in any colour). Population of India is 1,270,272,105 (1.27 billion). So there is more probability for accidents and getting stolen. I don't think this particular bike is safer in UK @ 30MPH and there is only street where I can leave this bike unlocked, that will be Downing Street. forget the price too - available for £2600 otr - start stop tech - £50 creditnote and finance over 4 years at £54 with £99 deposit and free delivery to your door., 2 years warranty and AA cover - 130 mpg - Honda = last forever! Nationwide 1 year warranty on the sticker kit also! Replacement seat available to remove the hump for the taller rider. 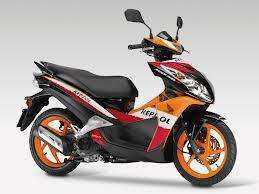 for the daily trip to work the PCX 125 is my choice ! A cheap Chinese bike is just that - cheap. People buy within their budget, if you have £300 then you don't buy a brand new Honda. A well maintained Chinese scooter is not a bad choice for a short commute or trips to the shops. Decent oil in engine and gearbox makes all the difference. Population of India is 1,270,272,105 (1.27 billion). So there is more … Population of India is 1,270,272,105 (1.27 billion). So there is more probability for accidents and getting stolen. I don't think this particular bike is safer in UK @ 30MPH and there is only street where I can leave this bike unlocked, that will be Downing Street. Surely you were young once too before graduating on to bigger more refined bikes? This is probably why the Spanish and Italians have so many more top class racers - their yoofs start out on these things sooner and in greater numbers (neither of those are facts btw!). Amazing deal if you live in india and amazing if you live in america.Of course its always cheaper over there were rip off britain.Seems ideal for a run around and im pleased its not promoting apple then the deal would be sub zero and chavvy to boot.Dont care about the stickers its still a decent deal for a top manufacturer. Samsung should pay US the £100 for doing them a favour i.e. riding around promoting them. Would love to get one of these for the commute, but online insurance quotes are non existent for scooters, would love to know the rough prices. Too right. It baffles me to think someone would fork out an extra £100 for a few stickers and the pleasure of promoting someone else's brand. Can't get my head around it. Would love to get one of these for the commute, but online insurance … Would love to get one of these for the commute, but online insurance quotes are non existent for scooters, would love to know the rough prices. Ring a broker, just like in the old days? They look like kids bikes! I suggest you better think twice before you decide to purchase a Honda motorcycle. They are sweet as honey once you indicate the interest of purchasing bike then once something goes wrong you will see how sweet they could be for you. I made formal complain directly to Honda uk and nothing is sorted so far.